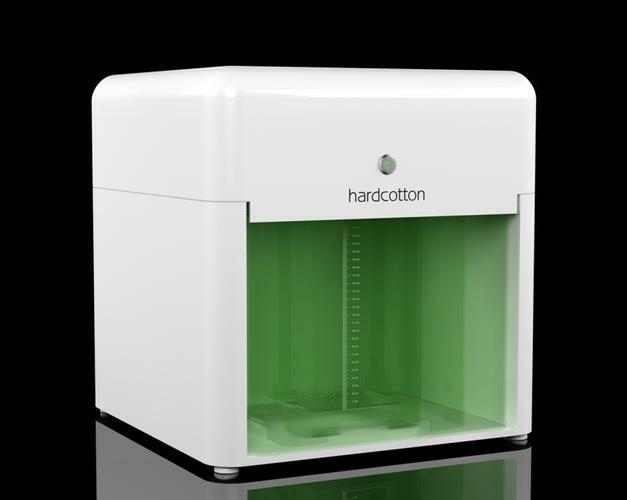 Hardcotton is set to launch a kickstarter campaign for its pressure controlled stereolithography (SLA) 3D printer. The Canberra startup claims the printer is one of the biggest innovations in the consumer SLA 3D print space. The Elemental is a desktop SLA 3D printer that uses a laser system to cure photosensitive resins. Hardcotton said the point of difference between other products and its own is that it uses a pressure control system to control resin levels when an object is being built. The firm claims its product fills a gap between low-end hobbyist machines with limited resolution and high-end printers that cost tens of thousands of dollars. "Whilst Elemental will be attractive to consumers, it will also be attractive to industry and is the ideal device to sit on desks and workstations everywhere," Pobihun said. The startup is hoping on a successful Kickstarter campaign. He said, "A sizeable campaign goal has been chosen so as to distribute the significant set up costs involved in the manufacture of Elemental across a larger number of pledged units. Our purpose behind manufacturing Elemental by mass production is to keep the pledge point values as reasonable as possible."